ZAMMLER POLSKA Sp.z o.o. 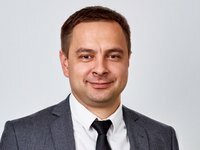 (Poland), part of Ukraine's ZAMMLER Group, providing transport and warehouse logistics services, plans to expand its own fleet of trucks by 100 Volvo trucks by the end of 2019, ZAMMLER Group Director Viktor Shevchenko has said in an interview with Interfax-Ukraine. "We have analyzed the prospects of development on the Polish logistic market and came to the conclusion that we need to focus on transportation by road… Thanks to the fact that we have received access to cheap Polish loans, in summer we will expand our own fleet by 38 Volvo trucks, and by the end of next year we plan to have over 100 new trucks. We buy them in Poland. The cost of one truck is EUR 120,000," Shevchenko said. He said that after expanding the fleet the logistic operator would consider a possibility of expanding warehouses in Poland. "After entering the Polish market we acquired seven trucks and leased 3,000 square meters of warehouse space near Warsaw to service our Ukrainian clients (their share in the warehouse is 90%). This should be a platform for training for us and our clients, who also plan to enter the European market. We offer lower price to these clients if they need it, provide them with consultations of our lawyers. We see prospects in long cooperation and hope to develop together with them on the European market," Shevchenko said. The ZAMMLER Group incorporates Zammler Ukraine (Kyiv), Zammler Warehouse LLC (Martusivka, Kyiv region), Zammler Fulfilment LLC (Krasylivka, Kyiv region), MLS LLC (Kharkiv), Ningbo Zammler Trading Co LTD (China) and ZAMMLER POLSKA Sp.z o.o. (Poland). The group provides services in the sphere of transportation by road, by rail, by sea and by air, customs clearance services and a full range of warehouse services.